VIDEO: Eminem and Royce Tear Sh#t Up On "Caterpillar"
Royce is on a tear and lyrically he is still bringing the pain! Eminem is BACK TOO! (AllHipHop Music) Royce 5'9" releases the incredible visual for the track "Caterpillar," featuring Eminem and King Green, with production by S1 and Epik Protoday. "Although the two lyrical powerhouses have collaborated frequently, this marks the first time that Eminem has provided a verse for one of Royce’s solo albums. Additionally, a version of "Caterpillar' featuring Logic will be included as a bonus track on Book of Ryan. 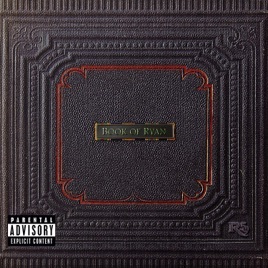 “Caterpillar" is featured on the Royce's highly-anticipated and most personal album yet, Book of Ryan, which it out tomorrow May 4, (Entertainment One/Heaven Studios, Inc.). In addition, a version of "Caterpillar' featuring Logic will be included as a bonus track on "Book of Ryan" Pre-orders for the album are available now with the gratis songs, “Dumb,” and "Stay Woke" available immediately for download. No other rapper from Detroit has been as prolific as Royce when it comes to releasing music. In addition to his solo releases, over the span of his career, Royce has collaborated with long-time friend Eminem as a member of Bad Meets Evil on the release of the Hell: The Sequel, released two albums as a member of the lyrical assassins known as Slaughterhouse (with Joe Budden, King Crooked, and Joell Ortiz) and two releases with the lauded producer and DJ, DJ Premier as a member of PRhyme. Their latest release of PRhyme 2 was released to critical acclaim with the two going on tour starting May 30, 2018.